I am very passionate about essential oils, and the healing properties they have. Multiple essential oils have similar healing properties, and they compliment each other, and work together to combat against certain ailments. 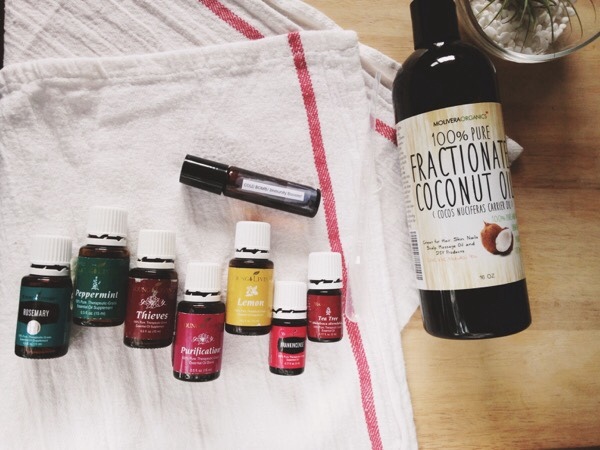 Ever since I immersed myself in essential oils, I have been interested in the essential oil blends, and the way the blends can kickstart each of the essential oils used in them to target specific mental or physical states. 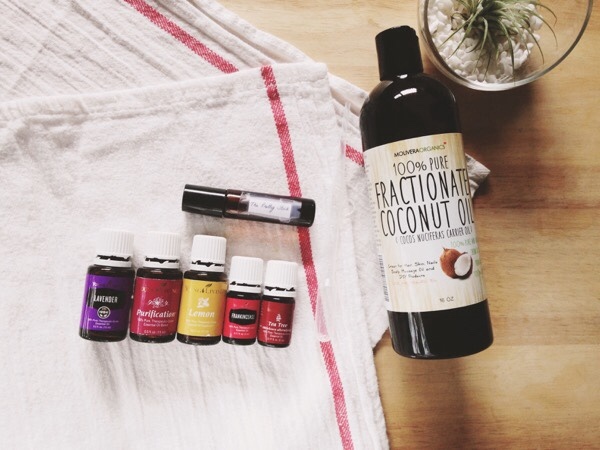 As I became a part of the social media essential oil community, I saw fellow Young Living oilers making their own blends in roller bottles, and sharing them with their oily community. 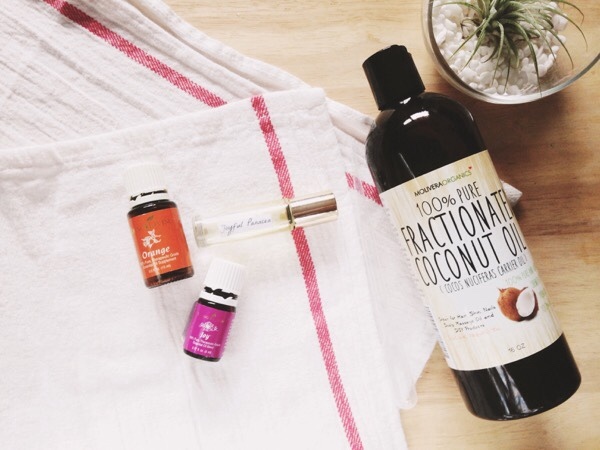 I was so intrigued by that, and when I received my Everyday Oils collection, I knew that I wanted to immerse myself in it entirely. Yesterday, I received my amber glass, roller ball bottles in the mail, and I began making my roller ball blends right after I opened the package. As a person who loves to share her oily passion, I would like to share my oily blends with all who are interested in essential oils. 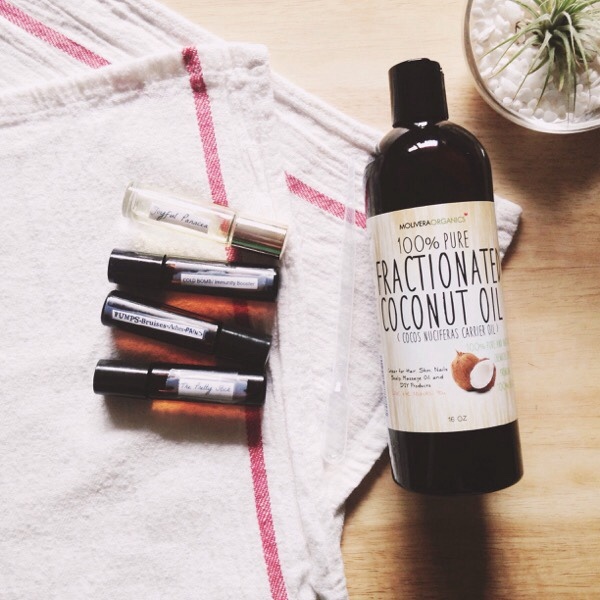 The anatomy of a roller ball bottle is fairly simple: carrier oil that will not solidify in lower temperatures, essential oils, and a glass bottle with a roller ball attachment. I purchased 10ml glass bottles, so when I make my roller ball bottles, I pour about 8ml of carrier oil in the bottle, and the room left over in the bottle is for the essential oils. I posted about this particular roller ball blend on Thursday, you can read the full post here. 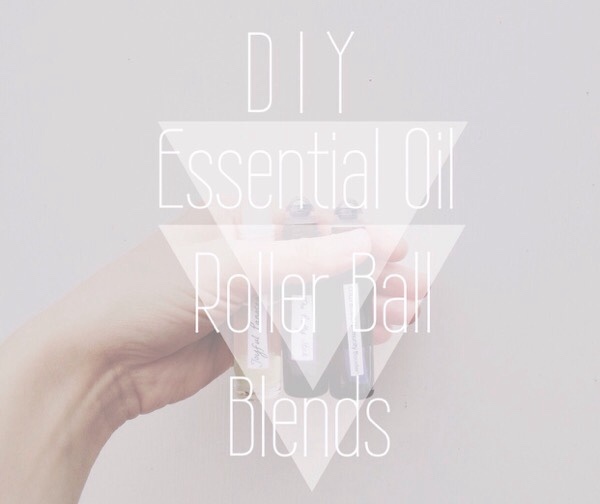 This roller ball blend is simple, but doesn't really have any physical healing properties. 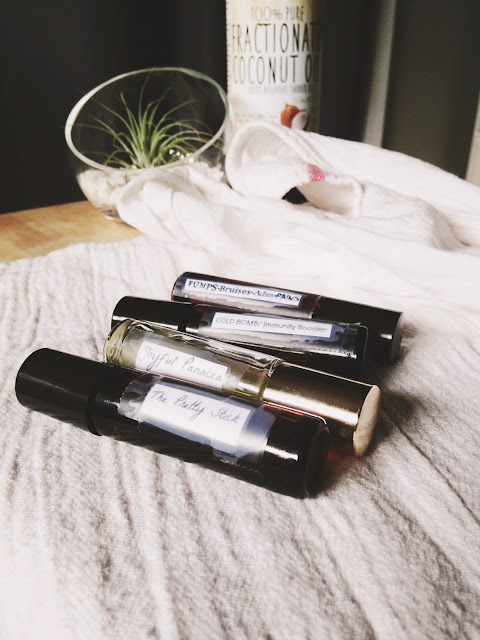 As a perfume roller ball, it is just for smelling pretty, anxiety breaking, and aromatherapy. Gently tilt the bottle forward and backward once the oils are inside, and the roller attachment fastened to blend the oils. You can apply this roller ball blend anywhere you would normally apply perfume. This blend is not for internal use, and avoid soft tissue areas. Please keep out of reach from children. This blend is for blemishes, anti-aging, glowy, healthy skin. I roll this blend on problem areas of my skin after cleansing my face. You can rub it, but you don't have to. I have noticed a major difference in just the past few times I have been using it. Once the roller ball attachment is fastened, gently tilt the bottle forward and backward to blend the oils together. Apply to problem areas on skin after cleansing. This blend is not for internal use, and avoid soft tissue areas. Please keep out of reach from children. I first made this blend for my sister to take with her to camp. As a counselor, she comes into contact with sickness, and I wanted to make a blend for her to have in orderto help her combat against those germs. When I made it for her, I loved it so much, I had to make one for myself. This blend can be applied under the ears, down either side of the throat along the lymph nodes. You can also apply this under the nose, and on the back of the neck, along the spine. Once the essential oils have been put in the bottle, and the roller attachment is fastened, gently tilt the roller ball bottle back and forth to blend the oils. Apply along either side of the neck, on the back of the neck, along the spine, under the nose, and behind ears to help combat against sickness. This blend is not for internal use, and avoid soft tissue areas. Please keep out of reach from children. We have a lot of aches and pains around here, so we like the soothing sensation of peppermint, and wintergreen to aid our sore muscles. Not only does this blend help with muscle pain, but it also heal bruising. I haven't had many bruises in my life, but the next time I run into a table at work, or whack my hand against the wall or the counter, I will be prapred for bruising. After the oils are put in the bottle, and the roller ball attachment is fitted, gently tilt the bottle back and forth to blend the oils. Roll over areas inflamed with pain, and rub in if necessary. Apply to sore muscles after a work out, or tired muscles after a long day. This blend is not for internal use, and avoid soft tissue areas. Please keep out of reach from children. A nice touch to roller ball blends are the labels to identify what the roller ball blend is used for. I have found that finding pretty fonts, and taping those to the bottle works perfect. Some oilers use washi tape, or paper tape to label their roller ball blends. I like to type mine out, and find fonts that hold the personalities of the ailments that the roller ball blends help fix. I am a little obsessed with making roller ball blends now, and I am in love with using my new, all-natural, homemade roller ball blends. I have plans for more roller ball blends when the ailments come along, so stay tuned for those. If you have any questions about essential oils, or roller blends, please feel free to ask. 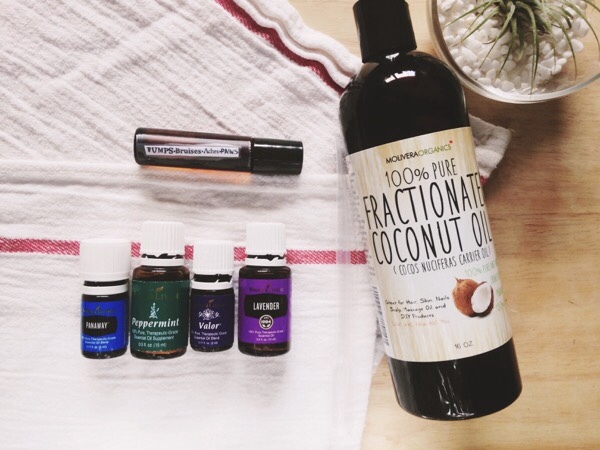 I love talking about these amazing, little oils, and I would love to help you start your oily life. Have a great Monday everyone!